Thank you, Mr. Speaker. Mr. Speaker, a while a back I received a visit at my office from my constituent, Nicholas Rymer. He’s a Grade 3 student at Harry Camsell School, my alma mater. He had concerns about the safety of some of the pedestrian highway crossings we have in Hay River. I share his concerns, as do other constituents I’ve spoken with, so I want to bring this issue to the floor of the House today. By my count, we now have two official pedestrian crosswalks on the highway in Hay River – one by the Health Centre, and one from 553 to the Red Rooster. 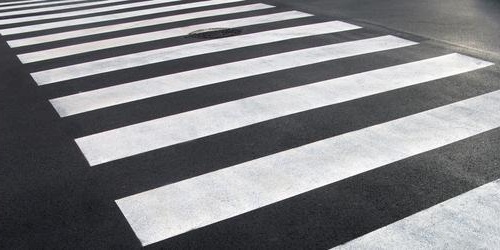 The Health Centre crosswalk is brand new, and has bright LEDs that catch motorists’ attention. On the other hand, the crosswalk by the Red Rooster has been there as long as I can remember. The lights are quite dim compared to the Health Centre crosswalk and they aren’t always noticable. 553 is probably the most densely populated part of town so there are a lot of people, including a lot of kids, who use that crosswalk every day. That’s especially true in the summer months, when the long days make it even harder to see the lights. It would be nice to see Hay River North get the same bright LEDs for its crosswalk that the Minister had installed in his own constituency. Like I said earlier there are two official pedestrian crossings on the highway in Hay River, but we have some unofficial ones as well. The one that I’ve heard the most concerns about is actually on the border of our two constituencies – it runs from Poplar Road in the Industrial Area, to behind the Soup Kitchen. Not everyone who works in the Industrial Area has a vehicle, so in the morning, at lunch, and after work you often see people waiting for a break in the traffic so they can dart across. Again, I often see kids crossing here to go their after school jobs. If you look at the satellite images on Google Maps you can actually see the walking trails worn into the ground leading up to the highway. Now, I don’t want to slow people down when they’re trying to get where they’re going, and I’m not saying we need a full set of lights at every de facto pedestrian highway crossing, but I want to make sure that we do what we can to keep everyone safe. Obviously, people should be using the official crosswalks, but it’s not always practical to walk a couple kilometers out of your way and then trudge through the ditch. I’ll have questions for the Minister of Infrastructure, and hopefully he’ll have some positive answers for me and Nicolas. MR. SIMPSON: Thank you, Mr. Speaker. Earlier, I spoke about safety concerns about highway crossings in Hay River that were brought to my attention. One issue was about how bright, or rather dim, the lights are at the crosswalk by the Red Rooster. I would like to ask the Minister of Infrastructure if we can upgrade those lights so that they are brighter and more noticeable – similar to the ones at the new health centre crossing. Thank you, Mr. Speaker. MR. SPEAKER: Minister of Infrastructure. HON. WALLY SCHUMANN: Thank you, Mr. Speaker. Yes, there is a difference between the two lightings at the two crossings in Hay River. The one that we just put up at the Hay River Hospital has the latest technology that has been introduced right across the country. Moving forward, the department has a program that we are going to install the latest version within this fiscal year at this crossing at the Red Rooster. Thank you, Mr. Speaker. MR. SIMPSON: That is good news. My constituents will be happy to hear that. I would like the Minister to confirm that this upgrade is only to the electrical portions of the crosswalk. I know that the arms on the new crosswalk in Hay River don’t swivel so there is a limit to the loads it can pass under. I want to make sure that we are going to keep the swiveling arms on this crosswalk and just upgrade to electrical. Is that correct, Mr. Speaker? HON. WALLY SCHUMANN: This is correct. We are going to be installing the new flashing beacons that are the LED ones similar to the or exactly the same as the ones at the hospital, but we will also be changing the panels that house those lights. MR. SIMPSON: I also discussed the unofficial highway crossing at Poplar Road. Has the department considered installing some type of crossing lights here, or even signs warning motorists that there are pedestrians on this highway? Has that been looked into at all? HON. WALLY SCHUMANN: When we consider new crosswalks anywhere in the communities, or in particular on the highway system, there are a number of factors that are involved. We have to figure in the projected traffic flows, the type of traffic, the volume of traffic, the width of the highway, the speed limit, all these sorts of things, but we also sit down with the community and talk to the RCMP about these types of things. I can commit to having the department have a conversation with the Town of Hay River and the RCMP for consideration. MR. SIMPSON: Thank you, Mr. Speaker. That is good to hear, that the Minister is going to sit down and have that conversation. I will just ask: would the Minister keep me informed of this so I can keep Nicholas informed of the progress we are making? Thank you. HON. WALLY SCHUMANN: Yes, I will keep the Member informed as this progresses. Just as a note, if there is a consideration of doing something, adding a crosswalk to a highway system in the Northwest Territories, the cost is approximately $40,000 and takes 12 weeks to complete. Thank you, Mr. Speaker.